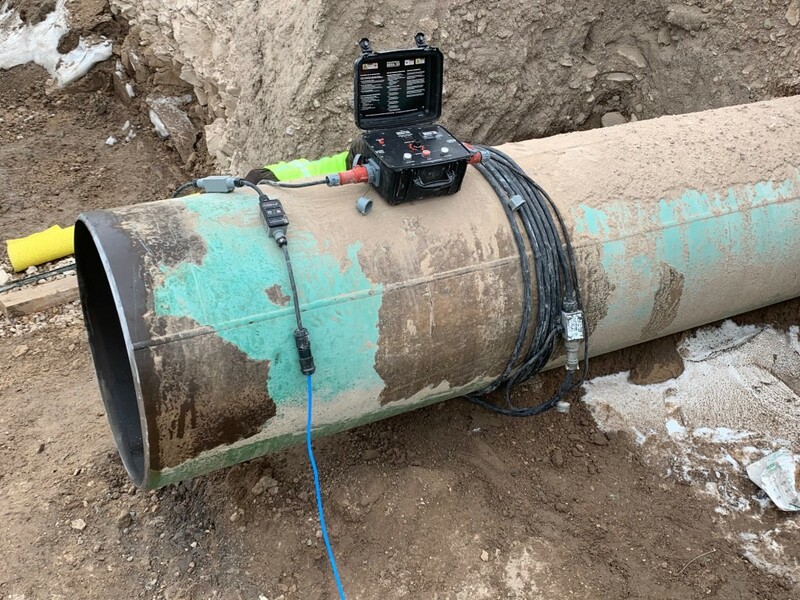 A shot of the IDMAG Pipeline Demagnetizer at work on the Rockies Express Pipeline in Colorado. 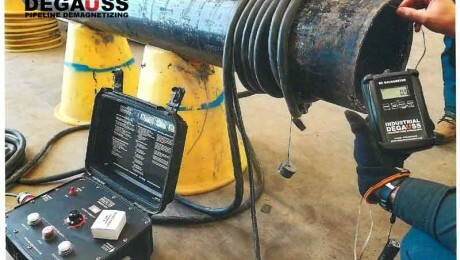 Our system is built for tough environments, features quick deployment with effective results, and is easy to operate. 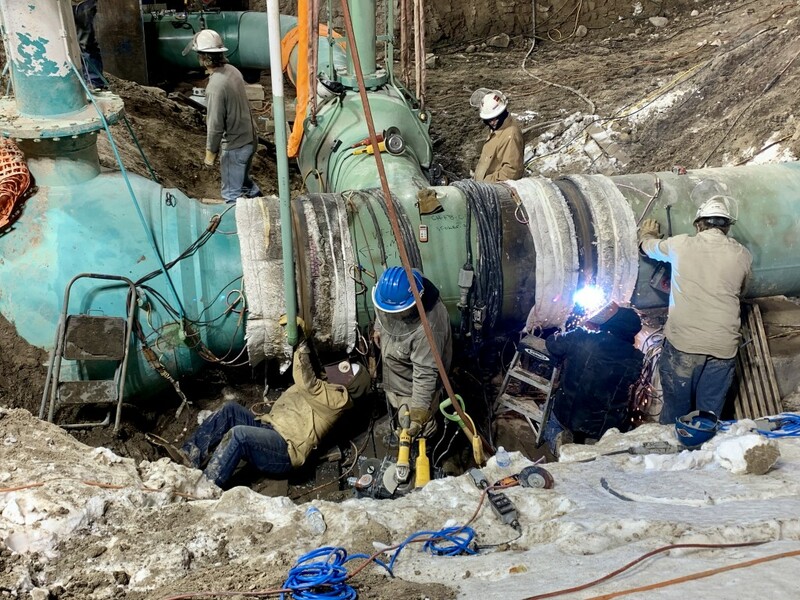 Our demag technicians are currently working at a compressor station on a section of the Rockies Express Pipeline in Colorado. 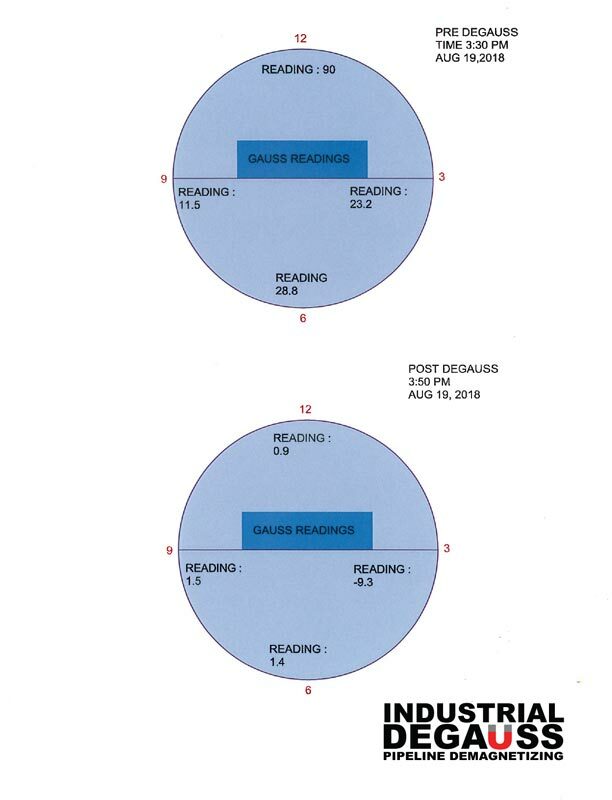 They successfully demagnetized pipe reading over 1,000 gauss! 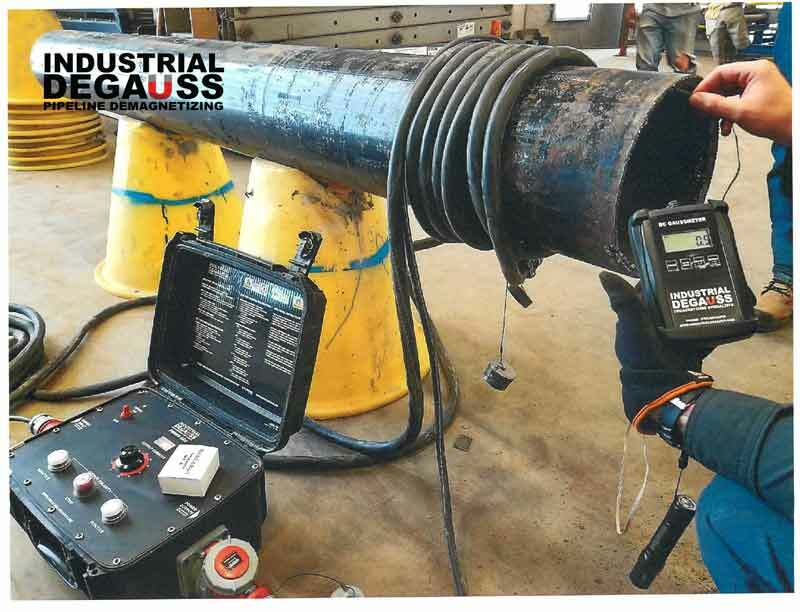 This demonstration is at Industrial Degauss’s trade show booth; it shows a magnetized pipe holding a hammer and a piece of steel until the IDMAG System is used to demagnetize it. 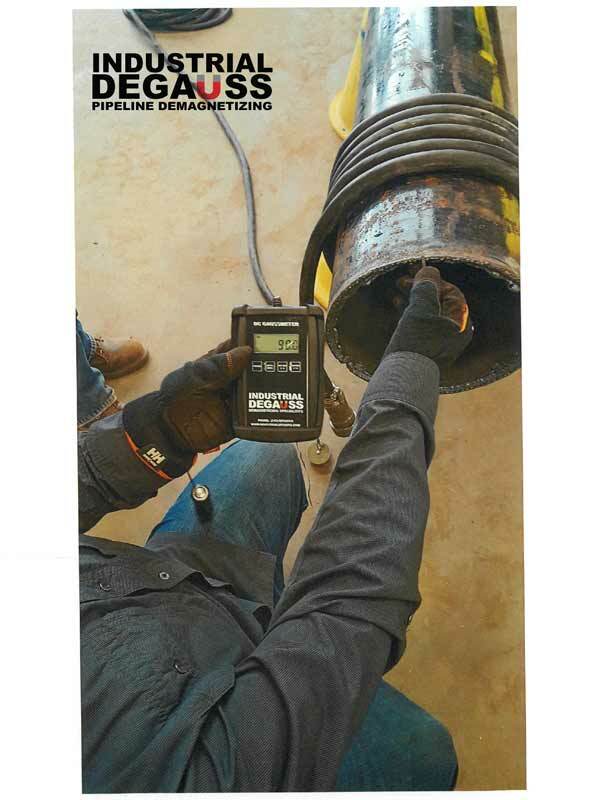 You can see how easily our equipment demagnetizes the pipe!